How popular are Career Center events? When the doors opened for the Fall ’14 Engineering & Science Job & Internship Fair Sept. 23 at the Student Union ballroom, the line cascaded down the stairs, navigated alongside the Art Building, and wrapped around the Music Concert Hall. Savvy employers accommodated the crowd by heading outdoors to share information with prospects while they waited. As a solution for those who were not able to enter, resumes were collected from students at the Sept. 23 fair and submitted online for a second fair held the next day to ensure students connected with employers,” said Career Center Employer Services Lead and Employment Specialist Moira Kolasinski. More than 105 employers and 1,700 job seekers attended the engineering and science fairs. In addition, the Career Center organized fairs this fall for the business, government and nonprofit fields, attracting more than 100 employers and 840 job seekers. 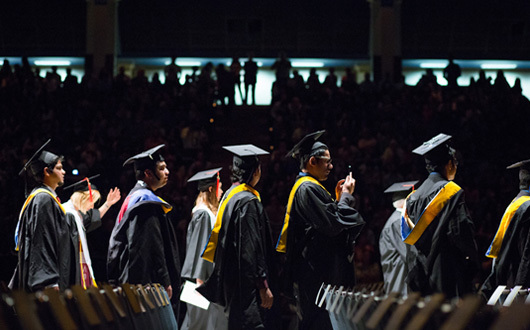 San Jose State President Mohammad Qayoumi will recognize this year’s top graduates at Commencement, which begins at 9:30 a.m. May 24, 2014. Isra Ahmad and Terri McBride have been named SJSU’s 2014 Outstanding Graduating Seniors for their leadership roles on and off campus, contributions to the community, and personal contributions as undergraduates. Karen Parker and Danielle Crawford are the 2014 Outstanding Thesis Award recipients, in recognition of their quality level of research. 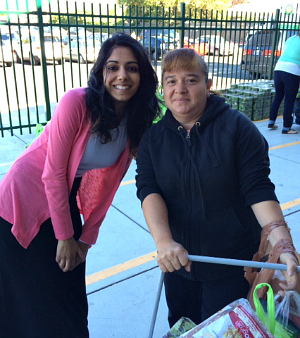 Isra Ahmad volunteers at a local food bank. Isra Ahmad graduated with a bachelor’s degree in health science and recreation in December 2013. With a final GPA of 3.805, she believes her real-world experience as a health advocate enhanced her education in the classroom. She graduates with a 3.805 GPA. On campus, she focused on tobacco-use issues as a leader for Campuses Organized and United for Good Health (COUGH). For the Northern California Society for Public Health Educators, she distributed more than 2,000 campus surveys and organized a public forum on the campus’ smoking policy. Ahmad says her most memorable contribution took place off campus, educating mothers about healthy food choices at a local Second Harvest Food Bank. Ahmad will start a master’s in public health, with a concentration in epidemiology and biostatistics, at UC Berkeley in the fall. She plans to teach at the university level. Danielle Crawford reads Joy Kogawa’s Obasan. 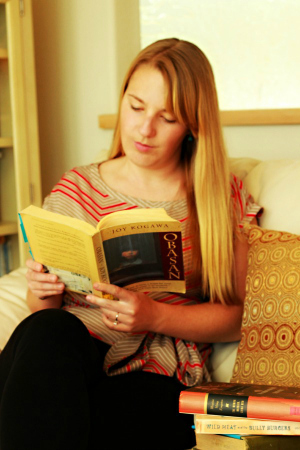 Danielle Crawford graduated in May 2013 with a master’s degree in English. For her thesis, “A Girlhood of Myth, Dreams, and Trauma: Redefining the Asian North American Female Bildungroman,” she studied how three novels, Cecilia Manguerra Brainard’s When the Rainbow Goddess Wept (1991), Lan Cao’s Monkey Bridge (1997), and Joy Kogawa’s Obasan (1981), challenged the conventions of European coming-of-age novels through the factors of myth, dreams, and trauma. Crawford says her research is important beyond academics, providing insight on historical trauma. She says she is grateful to her department at SJSU for giving her the opportunity to teach, which reconfirmed her long-term goals of becoming a professor. Crawford is currently a PhD student at UC Santa Cruz. 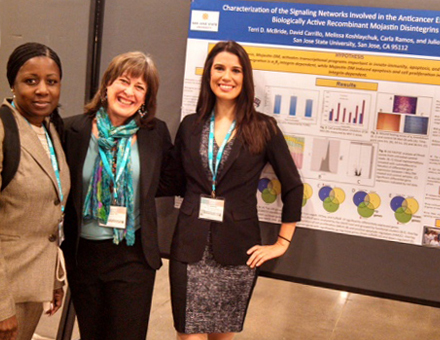 Terri McBride at the Annual Biomedical Research Conference for Minority Students (ABRCMS) with professor and MARC director Leslee Parr and MARC peer Yolanda Hunt. Terri McBride will graduate in May with a bachelor’s degree in biological science (molecular biology). She was working toward a nutrition degree, before switching majors to biological science, which she’ll complete with a 3.948 GPA. At SJSU, she served as a leader of the Nutrition and Food Science Club and as a tutor for College of Science and Advising Center and Learning Assistance Resource Center. Off campus, she is a petty officer first class in the United States Coast Guard Reserve, and has volunteered at youth outreach events with TechGYRLS, the Bay Area Science Festival and the San Joaquin Expanding Your Horizons Conference. She is currently studying for the MCAT and hopes to attend a post-baccalaureate program at Stanford. Her goal is to be a physician scientist and continue her research in oncology, while bringing care to low-income and disadvantaged people. Karen Parker built a computer model of alga. Karen Parker graduated with a master’s in marine science in December 2013. Parker has combined her new degree with 10 years of experience in the semiconductor industry to create a new career: biological oceanography. For her thesis, “Metabolic Network Construction Based on the Genome of the Marine Diatom Thalassiosira Pseudonana and the Analysis of Genome-Wide Transcriptome Data to Investigate Triacylglyceride Accumulation,” Parker used genomic data to build a computer model of a marine diatom—microscopic alga that converts light from the sun into chemical energy, which can be used as biofuel for cars and jets. Her research may have implications for the future of carbon-neutral fuels and for reducing greenhouse gases associated with climate change. She says her educational experience at Moss Landing Marine Laboratories has given her the skills to successfully pursue her goal of working on a computational system biology research and development team. 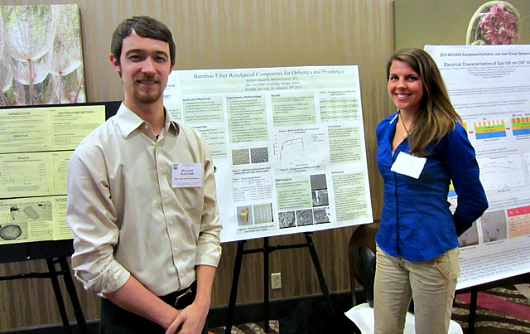 William Slocumb, ’14 Materials Engineering, collaborated with Andrea Kramer, an orthotic resident at Hanger Clinic, on research they presented at a recent conference (photo courtesy of William Slocumb). Seven Spartans will advance to the 28th Annual California State University Student Research Competition May 2 and 3 at California State University, East Bay. All seven students and their faculty mentors will be honored at the 35th Annual SJSU Student Research Forum beginning at noon April 10 in Engineering 285/287. Slocumb sections down materials for testing (photo courtesy of William Slocumb). The Graduate Studies and Research Committee selects San Jose State’s finalists from a pool of nominees sent forward by SJSU’s seven colleges. It’s important to note the competition is open to all students, including those majoring in the creative arts and design fields. Each college has its own robust reviewing committee, so we ultimately see the best of the best,” said Cheryl Cowan, Graduate Studies and Research Administrative Support Coordinator. Among this year’s winners are William Slocumb, ’14 Materials Engineering. 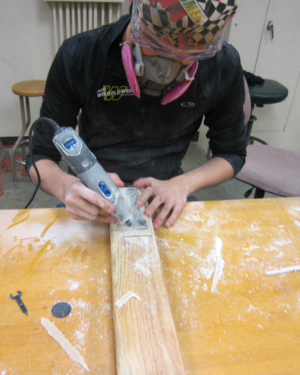 His research, “Design of Bamboo Fiber Reinforced Composites for Use in Orthotics and Prosthetics,” focuses on making cost-effective prosthetics from sustainable materials. Being selected to represent SJSU “is validating to me is [because this] shows that people are responding to what I’m doing and that this technology is doable, relevant and helpful,” he said. Slocumb was inspired by a Chinese man who spent eight years building his own bionic hands after a fishing accident. For people in developing countries, this research not only impacts their ability to thrive but also their survival and well being,” Slocumb said. 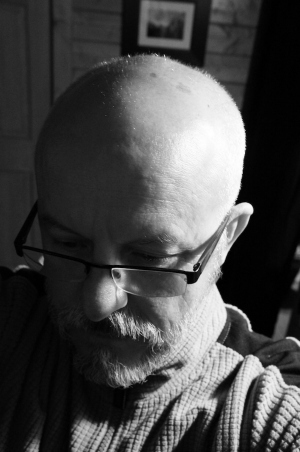 A self portrait by Mark Pinto, ’14 MFA Photography. “Very few people are able to see the benefits of doing research that combines different traditional fields, and how the results can be used productively in a particular application,” Selvaduray said. Mark Pinto ’14 MFA Photography, is one of two art students advancing to the systemwide research competition. Representing “San Jose State and [showing] key people how great the art and graduate departments are–that is exciting to me,” he said. 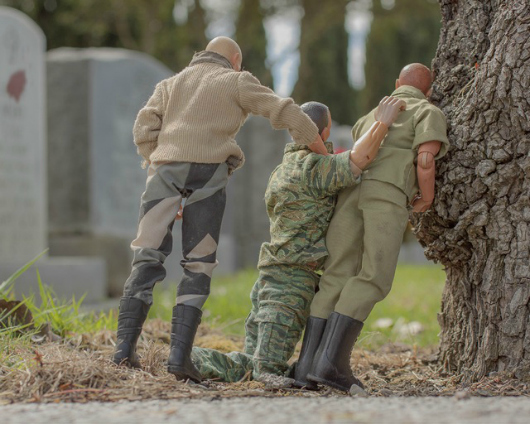 Pinto’s entry, a collection of photography entitled “The War Veteran’s Voice,” provides insight into the extended costs of war. A Marine veteran, Pinto learned a lot about himself while creating his entry. It’s very personal, and each time I do it, I realize how connected I am to the veteran community, the suffering of the survivors, and those who did not make it as well,” he said. “Suicide Joe” by Mark Pinto. Hundreds of job seekers stood in line outside the SJSU Event Center March 5 for a shot at landing an employment opportunity at the Expo ’14 Job and Internship Fair. Among the hopefuls waiting was Sameera Pappu, ’14 Electrical Engineering, who shared her desire to network with a few companies that match her special telecommunication skill set. “It’s better you do your own research and target two or three employers, instead of waiting in the long lines” at the fair, Pappu said. Many students like Pappu prepared by logging into the SJSU Career Center website, researching companies on SpartaJobs, and completing the online Job Success Webinar, which gained them early-bird access. Also working hard to prepare for the fair were SJSU alumni volunteers, identifiable by blue spirit ribbons. 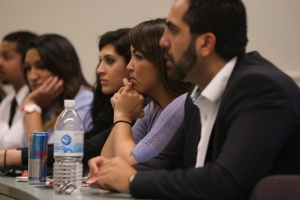 They showed their Spartan pride by serving as connecting points between students and employers. Marie Norman, ’93 Journalism, and director of talent acquisition and HR business partner for Financial Engines, has volunteered at the career fair for more than a decade. She says that SJSU job fairs have gotten more competitive over the years and it takes longer for students to find opportunities that fit their interests and goals. But her favorite part of her job is playing an instrumental role in people’s lives and matching opportunities with individuals. In the end, Norman says it’s about knowing and understanding what an employee wants and that goes beyond technical and functional skills. It’s that the company’s philosophy aligns with a person’s core values and allows them to thrive,” she said. Across the Event Center, Mercedes Hernandez, ’11 Business Administration, and a Symantic HR campus representative, resourced contact information for prospective employees via an electronic tablet provided by the SJSU Career Center. In a week, students such as Trevor Uyeda, ’15 Computer Science, who’s not worried about the competition because of his experience in graphic user interface, will receive an invitation to upload their updated resumes to Symantec’s database and see recruiting deadlines. This will give us a good feel for what they need and what we have to offer,” said Hernandez. The SJSU Career Center works with over 20,000 hiring representatives and businesses both locally and globally and connected students with over 33,000 jobs and internship opportunities through SpartaJobs last semester. Each year, San Jose State brings together student job seekers and employers under one roof to accommodate Silicon Valley’s demand for innovation. As a senior who will soon enter the job market, I looked forward to exploring career options at the Fall ’13 Job and Internship Fair held Oct. 2 at the Event Center. The event was hosted by the SJSU Career Center, which works with 20,000 hiring representatives and businesses both locally and globally. To gain Early Bird Access, I participated in a Career Center online webshop, which helped me create a game plan for the event. I prepared my targeted resumes, practiced my one-minute commercial that was sure to set me apart from the others, and registered for SpartaJobs, which lists 53,000 job openings. Upon entering the fair, I was greeted by an employment coach, who offered more tips on how to approach employers, manage my time and answer questions in a thoughtful manner. To make every second count, I identified and mapped out where my top employers were located on the floor. The more than 450 hiring representatives came from 125 companies included Cisco, Microsoft, CBS Interactive, Yelp, eBay, Kohl’s, Kasier Permanente, NOOK and the YMCA. I was fortunate to run into several SJSU alumni representing their employers and showing their Spartan pride by wearing blue spirit ribbons. I was encouraged by their stories of how SJSU was the foundation of their careers with these companies. Overall, I was pleased with my experience. I was able to meet with recruiters who I might not ordinarily get to meet and the face time allowed us to have solid conversations. In the next week or so, I plan on following up with thank you notes and will keep in contact with the companies that I connected with so we can continue the relationship. (This summer, SJSU Today hit the road, visiting students and recent grads on the job at summer destinations throughout the Bay Area. Our 2013 Spartans at Work series ends with graduate Andres Quintero). Mineta San Jose International Airport, located in the heart of Silicon Valley and minutes from downtown San Jose, welcomes over eight million passengers annually. Design elements like Terminal B’s airy paseo and the parking garage’s seven-story “Hands” mural representing diversity and innovation remind visitors that SJC is more than just a travel hub. Andres Quintero, ’06 Political Science, ’11 MA Public Administration, serves his community as vice chair of the San Jose Airport Commission, an advisory body to the San Jose City Council. “I’m glad I’ve been able to provide my prospective and look out for the citizens,” said this San Jose native. Appointed for two three-year terms ending in June 2015, Quintero first got involved in politics at age 12, when he volunteered to pass out literature for a presidential campaign. He got a taste of “real” politics in 2003, when he interned for Congresswoman Zoe Lofgren in Washington, D.C.
Quintero’s role on the airport commission encompasses advising the city council on many management matters, with a focus on safety, customer service and fiscal responsibility. “I have found it very rewarding to be on the commission because you think it’s an airport and you use it every once in a while” but it’s a very important asset, he said. Quintero helped oversee the airport’s $1.3 billion renovation and played an instrumental role in making the airport more welcoming to international visitors. He also works as a policy analyst for Santa Clara County Supervisor Cindy Chavez (who earned a bachelor’s in political science from SJSU in 1987) and serves as vice president of the Alum Rock School District Board of Trustees. “The commission has prepared me to realize that the decisions you make have an impact on other people’s lives and you have to make sure that you make the right decisions as best as you can,” he said. Driving along Highway 87, it’s hard to miss the enormous inflatable character sitting atop a 52,000-square-foot purple building on Woz Way. That structure is home to Children’s Discovery Museum of San Jose, which seeks to inspire creativity, curiosity and life-long learning. For the last eight years, Matthew Zane, ’07 Journalism, has been helping the museum’s staff think through ways to interact with the region’s multicultural community. “The experiences that I have had here have been invaluable. One of the main things that I’ve learned is how to multitask and how to keep calm and just drive toward my goals,” he said. As a communications specialist, Zane works on cross-departmental internal and external communications, participates in outreach, and maintains the museum’s online social media presence. In his current role, Zane strategizes how to communicate key initiatives such as Children’s Discovery Museum’s commitment to combat childhood obesity through healthy eating and active living. Zane is also helping build the museum’s online community. “I’m learning how to give our audience and my colleagues’ valuable and useful content for the museum’s news feeds and other social media channels,” he said. Zane started by working at the museum’s youth program summer camp. He was later hired to work full time running a volunteer program and supervising museum floor staff. As an SJSU student, Zane learned how to interact with the public and be comfortable communicating with people. (This summer, SJSU Today hit the road, visiting students and recent grads on the job at summer destinations throughout the Bay Area. Our 2013 Spartans at Work series continues with art history graduate student Sarah Dragovich). Well known in the Bay Area and beyond, the San Jose Institute of Contemporary Art (ICA) offers free admission to some of the most innovative art exhibitions and educational programming in the region, reflecting the entrepreneurial spirit of Silicon Valley. As a dyed-in-the-wool art lover, Sarah Dragovich, ’13 MA Art History, remembers how excited she was when visiting each new site-specific ICA installation, introduced every three to four months. When she landed an ICA internship last year, she learned that her passion could become her career. “There are a lot of career opportunities out there for art and art history majors. But you’ve go to be motivated, persistent and passionate to grab them. You have to build and maintain your network, know your capabilities and strengths, and find a way to integrate them with your passion. In my case, it’s art and culture,” she said. As gallery administrator, Dragovich is the ICA’s ambassador to the public. She’s the eyes and ears of the organization, connecting artists, visitors and members to the mission. Her role includes greeting each and every visitor to the gallery. She also manages the ICA’s membership program and administrative office, builds relationships with donors and funders, leads docent tours and manages the organizations’s member database. Sarah is also learning the business and marketing side of the business and honing her event management skills as she and her colleagues gear up for the ICA’s Annual Art Exhibition and Auction, the gallery’s signature fundraising initiative. “I feel I am really tapping into my passion for art and art history and making a difference by providing a genuine and genuinely inspired experience to the community,” she said. Her advice to students and new graduates is to persevere and tap your own resources as well as those within your network. She also encourages students to seek out and apply for internship positions. Taking clients on Gold Striker, Great America’s newest ride, and pricing and promoting the amusement park’s Halloween Haunt are a few of the many projects Ryan Davies, ’07 Recreation, is working on this summer. As group sales area manager, Davies develops print and sales collateral, coupon programs and signage for the park. He also oversees corporate accounts, the call center and the park’s ticketing system. “My favorite part about my job is that I get to get out from behind my desk and go into the park and see people have fun,” Davies said. Davies started in 2003 as a ride operator for Xtreme Skyflyer and worked his way up to seasonal managerial roles. Once he graduated from SJSU, his bosses suggested he interview for an administrative role. This summer, Davies is helping market the new Gold Striker, Northern California’s tallest and fastest wooden roller coaster, standing 108 feet high and soaring at 53.7 MPH. Davies’ time at Great America taught him about the ins and outs of the amusement park industry and about his potential. “I just try to push myself to the next level and try to learn everything I can,” Davies said. A recently added marketing role is helping him grow professionally. “It’s really important that you work somewhere you want to be and you enjoy what you do,” Davies said. As an SJSU student, Davies learned about time management and multitasking. He encourages students to take advantage of opportunities made available to students and to get involved on campus. “I truly attribute where I am to some of the activities I joined,” Davies said. The flash of cameras danced to the rhythm of “Pomp and Circumstance” in SJSU’s Event Center May 24 as family and friends whistled, jumped up and down, and flailed their hands to get the attention of loved one walking to their seats center-arena at the College of Engineering convocation. Bigler advised graduates to “dedicate yourself to the process and there will be no limits” and reminded them “we are in the middle of a technological renaissance; you will be architects of what will be an extremely new future,” he said. 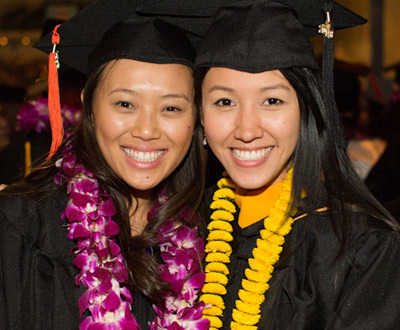 In a recent survey, SJSU asked new grads if they would like to send a shout out to family and friends. Here are some of the responses we received from child and adolescent development majors. More will be shared at Commencement. Drupa Desai: “I would like to give a shout out to Prof. Avtar Singh who has played a great role in my years at SJSU. He has been great motivation and inspiration. The high acoustic ceilings of the Music Concert Hall resonated with the sounds of proud supporters Thursday night as guests of all ages found their way to comfortable seating at the Department of Economics convocation. Ortega’s talk was followed by a slideshow accompanied by Louis Armstrong’s “What A Wonderful World.” In the presentation, grads gave thanks and expressed their appreciation for family and friends. In his keynote address, Lecturer Martin Kropelnicki opened by saying people who understand and maximize their skills lead the happiest and most balanced in lives. He closed by listing the top 10 attributes business employers look for including ethics, ambition, optimism, communication and organizational courage. Ortega and Associate Professor Jeffrey Hummel called each member of the Class of 2013 by name and provided everyone with the opportunity to offer thanks to friends, family, peers and professors. The sun glistened high over Tower Lawn late Wednesday afternoon, as families and guests snapped photos and conversed while awaiting the Department of Child and Adolescent Development convocation. The graduates’ supporters snapped, leg-clapped and swayed to Smokey Robinson’s “You’ve Really Got a Hold on Me,” Marvin Gaye’s “Ain’t No Mountain High Enough,” and The Beatles’ “Can’t Buy Me Love,” while the incandescent Tower Hall provided the perfect finishing touch to this energetic crowd. The master of ceremonies, Lecturer Donna Bee-Gates, opened the event by welcoming the graduates, families and friends. She told grads that she was “awed” by their hard work, persistence and ability to overcome challenges. Man’s Best Friend, Even in Prehistoric Times? The Department of Anthropology’s Alan Leventhal and colleagues delve into this question in an article recently published by the Journal of Archeological Science (Volume 40, Issue 4). “This is the first application of using ancient DNA in California in order to segregate out whether these large canids were domesticated dogs, coyotes or wolves,” Leventhal said. SJSU: What do you teach? Leventhal: I teach ANTHRO 195/280, which is an advanced practicum archeology lab class analyzing and excavating sites in the Bay Area with the local Ohlone tribe. SJSU: Can you tell us about your research with dogs of Central California? Leventhal: It’s principally focused on the identification of canid burials that were found in Central California. Sometimes, when we do measurements on the animal remains, some of them are so large that they look like they fall into the wolf category. 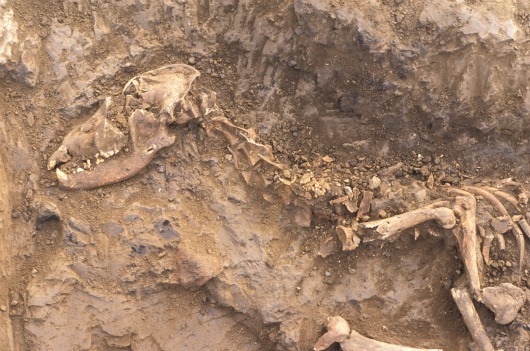 Our group applied the use of ancient DNA in order to test the validity of these animal burials, which then also helps in terms of the interpretation of the symbolic placement of the human burials in the human cemeteries. SJSU: How many people were in your group? Leventhal: There were seven coauthors, some out of UC Davis and some with the Far Western Anthropological Research Group. SJSU: What was your role? Leventhal: Back in the 1990s, we excavated a site from the Kaphan Umux (“Three Wolves”) tribe that had 102 human burials and animal burials, which we thought because of their size, were wolves. When the human remains were reburied the tribe decided not to rebury the wolves for future research. Years later, my colleagues at UC Davis, who had a hard time locating previously published canid burials going back to the 1940s, wanted to know if the wolves were still available and I said yes. My effort was to contribute particular bone samples from a 1960 SJSU excavation of a mortuary mound by Coyote Hills in the East Bay and contact the photographers of the animal burials themselves. SJSU: What interests you most about your research? Leventhal: My research is on several levels. 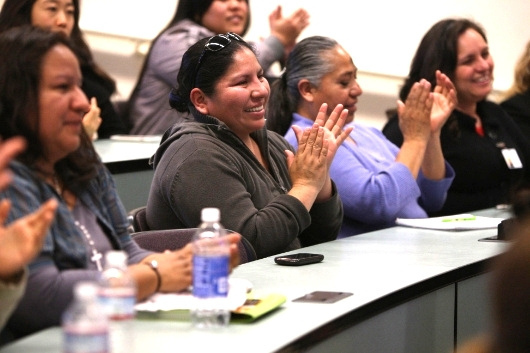 One is connecting the descendents of the San Francisco Bay Ohlones to their 10,000-year-old history, then training them to do their own archeology and working collaboratively with our students and the tribe. Another level is my students, who are authoring and coauthoring archeological reports from various sites in the Bay Area and all the way to Santa Cruz. I enjoy laying out a database of understanding the history of human adaption and the evolution of complex Native American societies that lived here. SJSU: What are you working on now? Leventhal: We are now working on an exhibit up at Oakland Museum on one of the largest mortuary mounds in Emeryville and interpreting the placement of validity in these towns. President Mohammad Qayoumi will recognize four top graduates at Commencement, which begins at 9:30 a.m. May 25 in Spartan Stadium. Approximately 8,000 candidates who completed their studies in August 2012, December 2012 and May 2013 will be eligible to participate. Around 25,000 graduates, family and friends are expected to attend the ceremony. 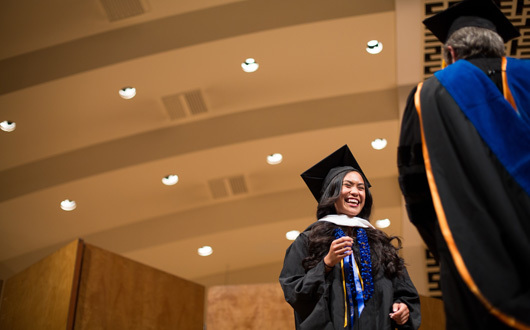 Maimona Afzal and Travis Lopez have been named SJSU’s 2013 Outstanding Graduating Seniors in recognition of their scholarship and contributions to the community. Sarah Swift and Shruthi Thirumalai have received the 2013 Outstanding Thesis Award in recognition of the exceptional quality of their research. 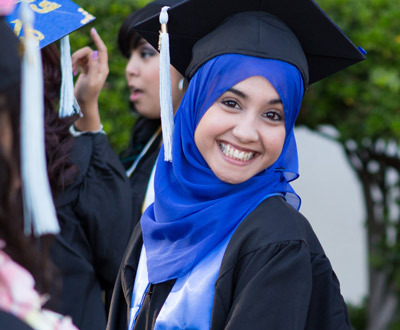 Maimona Afzal is graduating with a bachelor’s degree in liberal studies. She says that her college experience has given her opportunities to interact, collaborate, and serve her community in many ways. A Kaucher Mitchell Honorable Mention recipient, Afzal is graduating with a 3.98 GPA. She led 15 volunteer tutors as a coordinator for the Homework Club and managed the Reading to Children program. Off campus, Afzal advocated for orphaned children as a volunteer with the GiveLight Foundation and spent her summers as a counselor and troop leader for a youth camp. Graduating at the age of 18, Afzal hopes that her drive will inspire others to act on their dreams. 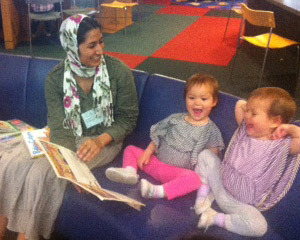 Afzal has accepted a position at Teach for America, where she will be working with special needs children in East San Jose. Travis Lopez is graduating with a bachelor’s degree in business administration. He says he has enjoyed increasing awareness about globalization while at SJSU. He is graduating with a 3.936 GPA. Lopez served as a leader in the Entrepreneurial Society and the Executive Leadership Council, and still found time to pursue entrepreneurship through the Spartups Incubator and the MIS Association. A Salzburg Scholar, Lopez also worked in Hong Kong through the Thompson Global Internship Program and analyzed mobile applications for the city of San Jose and Happy Hollow Park and Zoo, as part of two honors student programs. 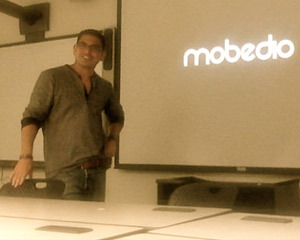 Lopez has accepted an offer to work at NetApp, a network storage and cloud computing company, and will continue with his most meaningful contribution, Mobedio, a start-up that uses an online public opinion platform to increase civic participation. Sarah Swift is graduating with a master’s degree in communicative disorders and sciences. For her thesis “Low-tech, Eye-Movement-Accessible AAC and Typical Adults,” Swift studied augmentative and alternative communication (AAC). Some types of AAC make use of eye movements as a means to communicate wants and needs, engage in social relationships and continue with daily life for those who have lost the ability to speak. Swift focused on low-tech eye-gaze methods in typical adults. 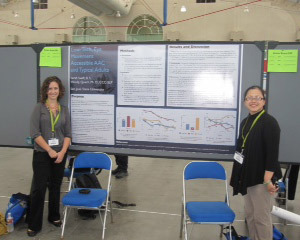 Before her study there was not much research on the preference of commonly used eye-movement accessible AAC systems by non-neurologically impaired adults. Her study added to the knowledge in the field by providing a baseline for low-tech eye gaze methods. 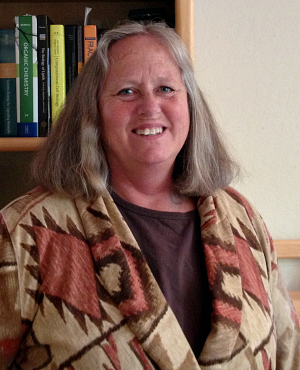 Swift is currently a speech pathologist in Santa Clara Valley Medical Center’s rehabilitation unit. 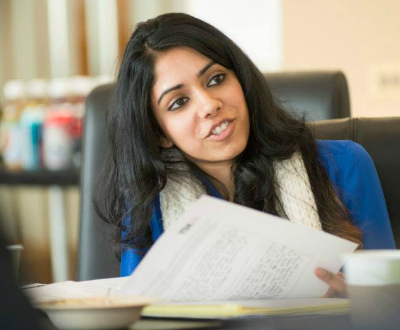 Shruthi Thirumalai is graduating with a master’s degree in general engineering. She dreams of continuing research that will help people lead healthy lives. 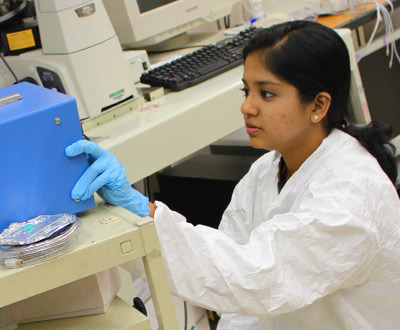 For her thesis, “Opto-Acoustic Interrogation and Ultrasound Imaging Of Acoustically Sensitive Microcapsules,” Thirumalai examined the use of ultrasound to locate and modulate the release of cancer-killing drugs from microcapsules when they are implanted in breast tumors. 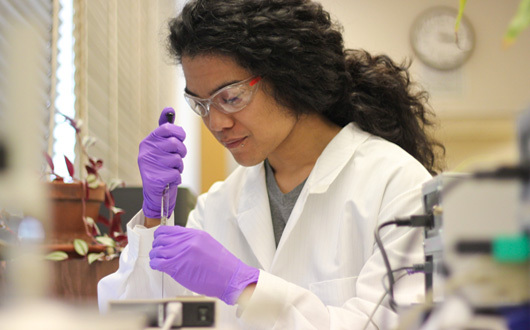 Her biomedical engineering research crossed the fields of ultrasound, microencapsulation and microfluidics, and has resulted in two conference publications, one journal article, one poster presentation and the San Jose State research award for engineering. Thirumalai says that each class at SJSU has given her different ways to challenge herself. She is currently considering biomedical engineering doctoral programs and hopes to give back as a mentor by becoming a professor one day. Inspired by a professor, Brian Castellano changed majors from nutrition to chemistry, and will soon begin a doctoral program (Christina Olivas photo). In recognition of his academic interests and service, chemistry major Brian Castellano has received a 2013 Gilliam Fellowship for Advanced Study. The honor provides $46,500 annually for four years from the Howard Hughes Medical Institute, which seeks to improve the diversity of college and university faculty members by supporting students from groups traditionally underrepresented in the sciences. “That’s one of the reasons I am interested in science: There is an unlimited amount to learn and discover, and through mentoring, I am able to help others gain a similar passion,” said Castellano, who will enter a doctoral program this fall. Castellano arrived at SJSU in spring 2009 planning to pursue a degree in nutrition. Inspired by an enthusiastic chemistry professor and his own interest in cell research, Castellano changed his major to chemistry. So Castellano joined Associate Professor Daryl Eggers’ research lab, where he started work on the effects of water on binding systems. Castellano currently investigates the role of water thermodynamics on aqueous binding equilibria. 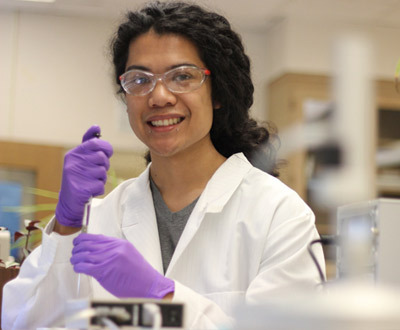 At SJSU, Castellano has also participated in the HHMI-SCRIBE Program and the National Institute of Health’s Minority Access to Research Careers Program, both of which provided him with financial support so he could flourish academically. Mentoring has also been a major part of Castellano’s experience. He has helped fellow students and is a volunteer organic chemistry workshop facilitator. Castellano is now looking forward to earning a doctorate degree in biological and biomedical sciences. He has been accepted to doctoral programs at the University of California-Berkeley, Johns Hopkins University, Yale University and the University of Pennsylvania. Of the five micro entrepreneurs who presented their product or service in class, the students chose three: a cleaning business, a taco stand and a daycare (Jessica Olthuf photo). This semester, the BUS2 134B Integrated Marketing Communications class within the College of Business will take a new approach to learning by serving as consultants to small businesses in neighborhoods near campus. “Our students will work with real businesses and real individuals with real issues when it comes to their area of expertise,” said Professor of Marketing and Decision Sciences Marilyn Easter. The three-unit capstone course focuses on using effective communications marketing solutions to a targeted audience, mainly through promotions. The businesses are in or near neighborhoods served by CommUniverCity, a collaborative project of the Five Wounds/Brookwood Terrace communities east of campus, SJSU and the city of San Jose. SJSU concentrates service-learning classes in these neighborhoods with the goal of building community and engaging students in civic life. Throughout the semester, student consultants will work in teams to apply skills that they are learning in class to create the best marketing promotional plan (Jessica Olthuf photo). Throughout the semester, student consultants will work in teams to apply skills they are learning in class to create marketing promotional plans. Of the five micro entrepreneurs who presented their products or services to the class, the students, with guidance from professors and staff, chose three: a cleaning business, a taco stand and a daycare. John Dance is one of 18 students in the class who will apply theory to practice. According to Easter, the goal of the pilot program is to create an ongoing project that allows micro entrepreneurs to work with SJSU students and to become part of the San Jose State community. 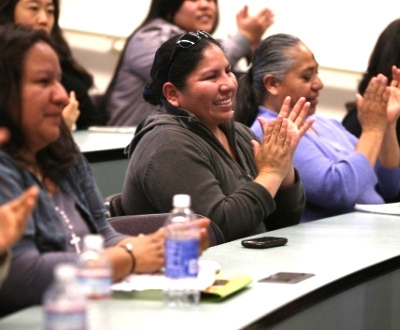 Already, the project has brought together a cross disciplinary team including several SJSU marketing instructors and students, local residents, CommUniverCity leaders and Catholic Charities staff members. “It’s a fantastic relationship that everyone can benefit from,” Easter said. Professor Muller leads a research group comprised of 10 undergraduates and two graduates. 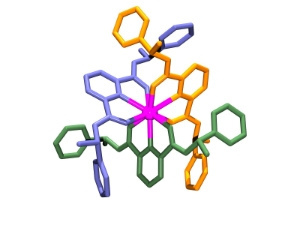 The team created this lanthanide compound. Have you ever wondered how an MRI machine uses a magnetic field and radio waves to create detailed images of the body? Key to the process is the lanthanide series of the periodic table, the fifteen metallic chemical elements with atomic numbers 57 through 71. 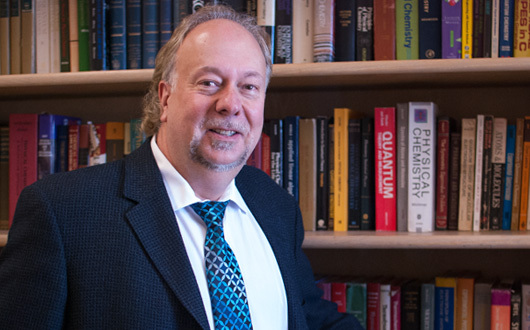 Department of Chemistry Chair Gilles Muller does research that helps biochemists understand how molecules interact with other molecules in the body using the lanthanide series as probes. “The reason why we study lanthanides is because when you excite them with a certain wavelength, or a light of a certain color, they emit another wavelength or color,” he said. Muller studies these emissions using circularly polarized luminescence spectroscopy, a technique that uses lasers to determine the configuration and interaction between compounds and biomolecules. Thanks to the National Institutes of Health and other grants, Muller leads a dynamic research group comprised of 10 undergraduates and two graduates focused on polarized light and the potential for biomedical applications. Interested in joining the team? You can learn more on Muller’s research on his website. In 2008, Muller won the Henry Dreyfus Teacher-Scholar Award for his dedication as an outstanding teacher and mentor for undergraduate scholarly research. 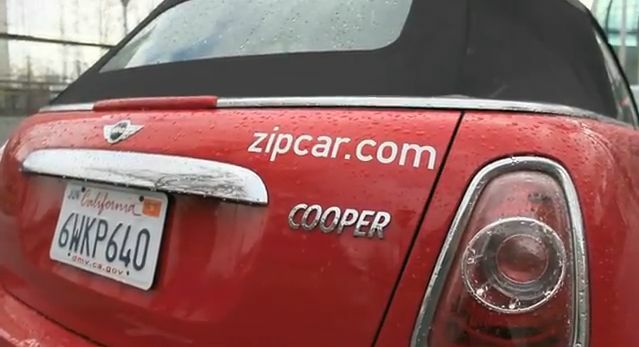 Zipcars Available Now Near SJSU! As a student, I’ve always had access to a bus or light rail for getting around town. But when I heard the car sharing service Zipcar expanded to San Jose, I decided to give it a try. It was easy for me to reserve a car online; I just picked the day, block of time, and one of three pick up locations in the San Jose downtown area. With my membership, I could chose from over 31 makes and models, from the eco-conscious to the extended range, or even a Mercedes! I chose a crimson and white-stripped supercharged Mini Cooper Convertible for my shopping jaunt off campus. There was no out-of-pocket charge while I had the car. My membership, consisting of a discounted yearly student membership rate and a low one-time application fee, included up to 180 miles a day and free gas. The gas card was located above the driver’s visor and used exactly like an ATM card. It was also comforting to know that insurance was covering me the whole time I was driving. I was only paying for the cost of the reservation, which was the time I was driving the car, starting at around $8 an hour. The ease of me walking up to my car, opening it and being able to go was the highlight of my experience. I held my access card on the scanner outside the driver’s dash to unlock it. The hardest concept to grasp was the fact that the keys are built right in the car. I didn’t have to worry about parking near campus because there was already a spot reserved for me. Having a Zipcar for a day really made me think about comparing Zipcar to owning your own car. Even though you had to be somewhat of a planner in order to get your car when you want it, I could easily save several hundred dollars and miles on car expenses with car sharing. It’s also great for the environment, fewer cars on the road means saving gas and oil, which means less pollution and overall, a higher green impact. So all this means everyone living on campus doesn’t have to feel stranded in the middle of the city. Car sharing can grant you the freedom to run some errands or go to an appointment, or even help you move, and as a student that’s great flexibility and convenience when you want it! The President’s Scholar Award recognizes a faculty member who has achieved widespread recognition based on the quality of scholarship, performance or creative activities. This year’s winner comes from the College of Humanities and the Arts. In 1984, Professor of English and Comparative Literature Susan Shillinglaw came to her first faculty meeting with her baby in her arms, an unfinished dissertation and not a single word published. 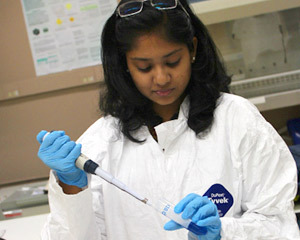 Twenty-eight years later, her subsequent research and determination have earned her the 2012-2013 President’s Scholar Award. “When the president called to tell me that I won the award, I was just floored and so moved beyond words,” said Shillinglaw. “It’s such an honor to receive this recognition from the president and from San Jose State—the university that I’ve given my life and career to. I am delighted that my scholarship, outreach and commitment to the university are recognized in this way. 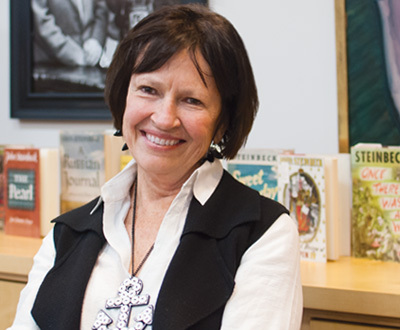 Shillinglaw’s work has been recognized nationally and internationally, and her articles and introductions are “a major contribution to the Steinbeck field,” said a nominator. 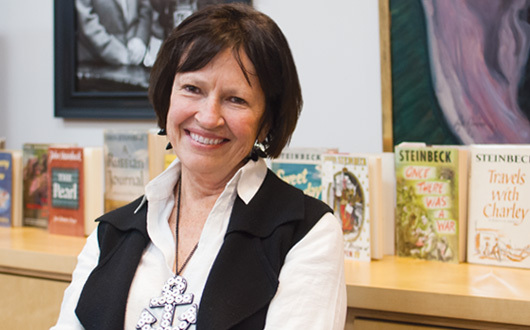 Her work has clearly benefited the field of Steinbeck studies as a whole; each scholarly project has challenged Shillinglaw to write to a broad audience. It is the positive and visceral response to Steinbeck’s work that has allowed her to touch so many people and to lecture around the world. Shillinglaw earned a bachelor’s degree from Cornell College and master’s and doctoral degrees from the University of North Carolina at Chapel Hill. 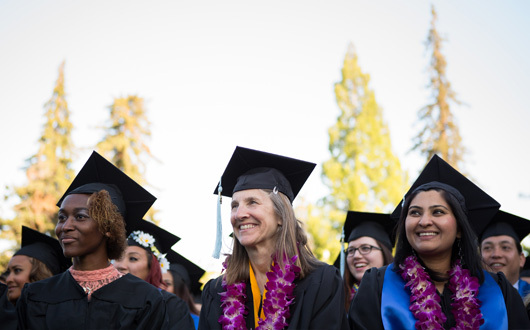 The Distinguished Service Award recognizes a faculty member for exemplary service in a leadership capacity to the university and/or community or profession that brings credit to San Jose State University. This year’s winner comes from the College of Science. Bradley Stone, professor of chemistry, says that providing service beyond the normal duties of teaching and scholarship is important. His commitment and ongoing contributions to San Jose State’s mission has earned him the 2012-2013 Distinguished Service Award. 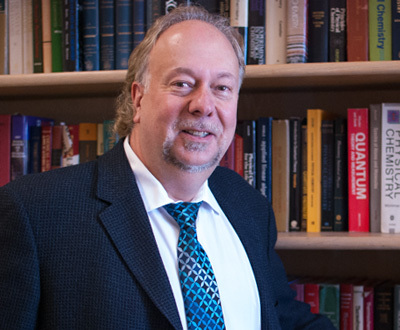 Through his leadership and initiative as chair of the Department of Chemistry for nine years, Stone supported faculty and student research and oversaw the modernizing of the curriculum and adding nine new tenure-track faculty members. His contributions as chair of the University Council of Chairs and Directors “played an instrumental role in fostering closer ties between the departments, conducting interdisciplinary, collaborative research and course development, and streamlining the double-major process for students,” according to a colleague. As co-director of the SJSU/NASA Faculty Fellowship Program, Stone secured $2.2 million in grants and contracts, which created collaborative research opportunities for more than 100 faculty members. As a faculty advisor for KSJS, San Jose State’s FM campus radio station, Stone has served as a mentor and directly influenced thousands of students. He has won multiple national awards for his work as a music director and jazz radio programmer at KSJS. He has served as an invited panelist, moderator and organizer at numerous jazz conventions for over more than 20 years. This has led to years of national recognition for San Jose State, including Jazz Station of the Year, Jazz Programmer of the Year, and the JazzWeek Duke Dubois Humanitarian Award for Lifetime Achievement. Stone earned a bachelor’s degree from the University of Illinois at Chicago and a doctorate from Indiana University.